Looking for the best Audiophile computer speakers under $500? You have come to the right place! In this article, I’ll explore some of the best audiophile computer speakers under $100-$500. For the current scenario, more budget not necessarily yields the best audiophile PC speaker. The recent technological advancements have made it possible for a budget conscious buyer to get the most out of the bucks spent. Well, in between the range of 100 USD and 500 USD, you may not get the world’s best audiophile speaker for PC but would surely get a high-quality speaker for practical usage. As you may have observed in some cases, a $50 tech beats $200 tech. So, yes, getting an excellent audiophile computer speaker under $500 is possible. Here, we would list out some of the best audiophile computer speakers that you should definitely grab in the range of $100-$500. There is absolutely nothing to worry about if you do not want to spend a fortune to get a pleasant music experience through computer speakers. A lot of good computer speakers exist for under $50. Here, we mention the best of the lot that you might want to check out. 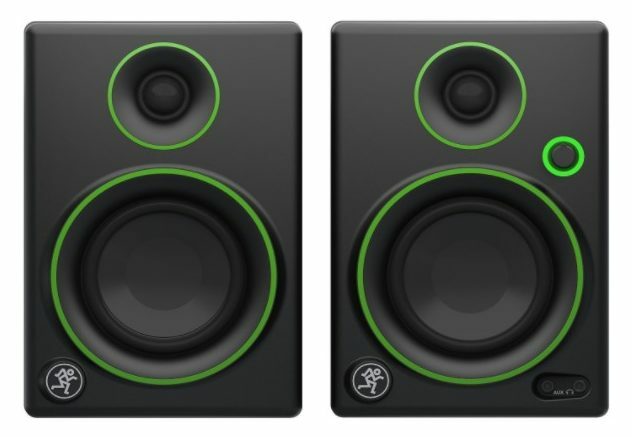 Cyber Acoustics 2.1 speaker with subwoofer is one of the best audiophile computer speakers which priced at just $35.99. It is a decent audiophile computer speaker system for under $50. As you can observe in the image above, the system is incredibly good looking and is easily deceiving that you can get something like that under 50 bucks. For the spec sheet, it has a 62 Watt of peak power with 32 watts RMS. It is one of the best three-piece stereo speaker experience along with a subwoofer for such a budget price tag. You get an AUX input jack and an output headphone jack. The controls equipped lets you adjust master volume, bass volume, and headphone volume. Check out Cyber Acoustics 2.1 computer speaker. If Cyber Acoustics does not appeal to you much, then you are most likely into common brands with brand trust and identity. Logitech is such a brand to be trusted. 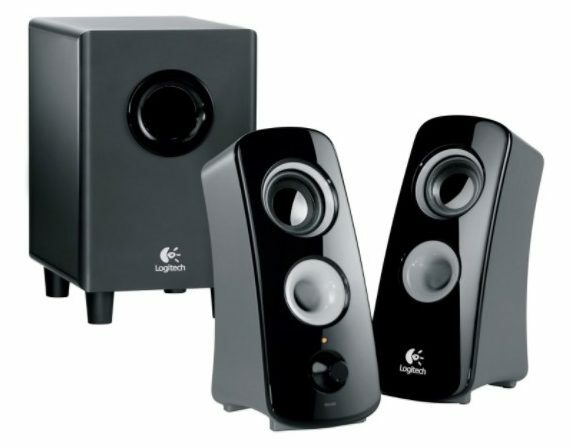 The Logitech Speaker system z323 is yet another good audiophile PC speaker priced at $49.99. It comes along with a subwoofer. The design language of this computer speaker is something different but claims to provide a perfect 360-degree sound experience. For the tech spec, the speaker has 30 watts (RMS) of power. 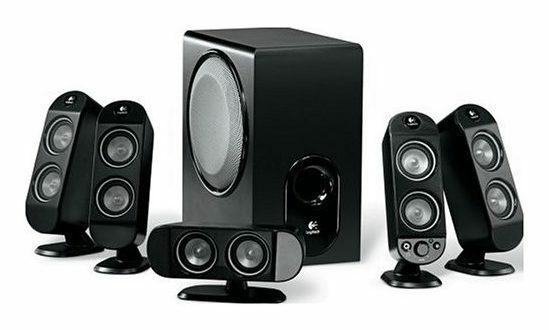 Logitech speaker system is a quality product with decent sound quality for just under 50 USD. 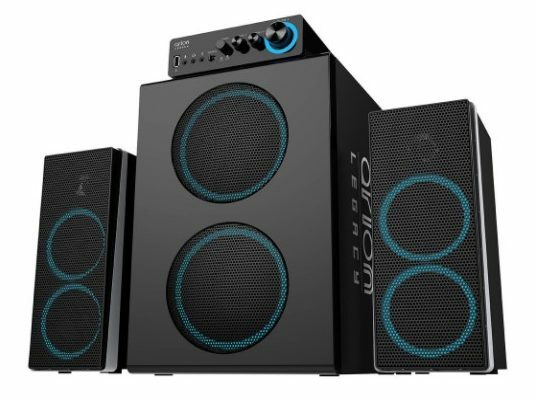 Check out Logitech Speaker System. Want something unique for the choice of best audiophile PC speakers? Want to make a cool investment for one of the best Audiophile computer speakers for under $50? Well, this is the one we would recommend. It looks very cool and is priced at just $49.99. 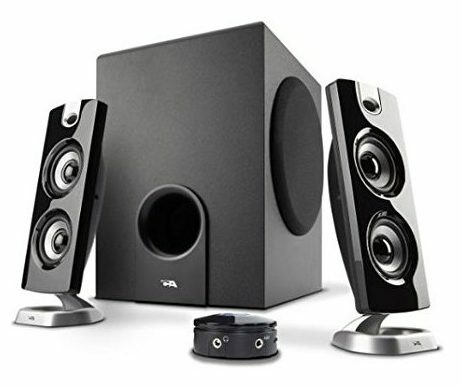 It provides a similar music experience compared to the others audiophile computer speakers listed under $50 price tag. However, it comes packed with Blue-LED accent lights which give the pulse to the beats of music when the bass equalizer is set past 80%. Nevertheless, it is one hell of an audiophile computer speaker for a budget price! Check out this audiophile speaker for PC. Satechi Dual Sonic Speaker 2.0 channel computer speakers are one of the simplest audiophile PC speakers of the lot. It just costs $27.99. It also comes baked in with Blue-LED accents as a bottom bar. Well, it might not look as cool as the previous one, but you can get a similar feel at a cheaper price tag. Check out Satechi Dual Sonic Speaker 2.0. Now that you know about 4 of the best audiophile computer speakers under $50 let us bump up the price tag and get to know few of the audiophile computer speakers that should provide you the best sound experience for just under $100. 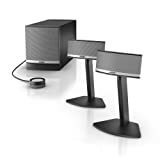 Bose Companion 2 Series is a fantastic choice to set up as audiophile computer speakers for just under $100. 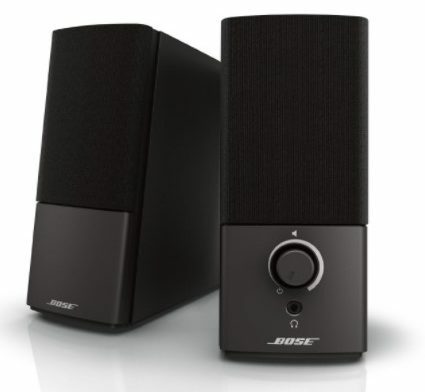 The Bose Companion 2 is priced at $99. Bose does not impress you with its tech specs but rather the high-quality audio that you get from it. The Companion 2 series is a must have for every audio enthusiast. However, this computer speaker will not look flashy to your desktop decoration. It is a simple yet high-quality computer speaker for a budget price. 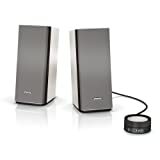 Check out Bose Companion 2 Series. Well, for under $100, you get most of the brands fall into the category of an optimal audio experience for a budget price. 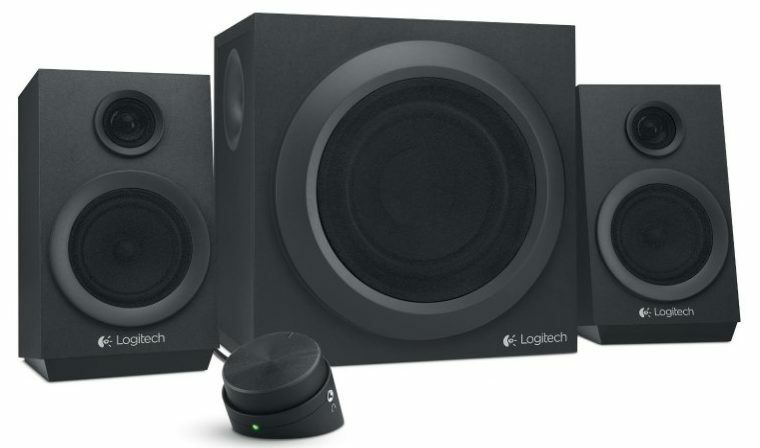 As the description boasts, the Logitech speakers offer you 80 Watts of power priced at $59.99. This speaker incorporates a front firing subwoofer which enhances your audio experience for the given investment. Check out this audiophile PC speaker. Looking for something futuristic with the desired budget? Well, Genius is the computer speaker you should look at! The PC speaker looks stunning. 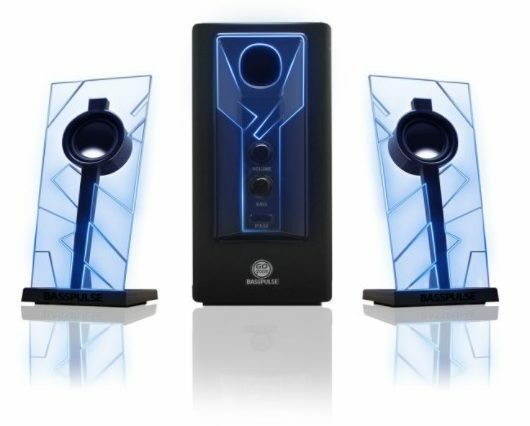 The audiophile speaker is primarily aimed at the gaming users who want an optimal audio experience while playing games. With all that said, the Genius is priced at $69.98. Grab it while you can! The Mackie CR3 is a fabulous choice for the best audiophile PC speakers under $100. The speaker looks big enough with a perfect accent color of black and green. It is one of the most loved audiophile computer speakers for under $100. The speaker has a simple design, but it looks like a studio-grade design in our opinion. It is perfectly optimized for a great sonic experience. Everything considered the Mackie CR3 is priced at $99.99. You also get separate balanced and unbalanced input ports. So, you can utilize any of them as per your requirement. Check out Mackie CR Series. We got to know about some of the most interesting computer speakers available for under $100. You could surely be happy with that kind of budget if only a decent audio experience is what matters to you. If you want some advanced sound experience with more power, then you should take a look at the list below where we filtered out the best audiophile computer speakers in the range of $100-$500. Bose Companion 20 is one of the best audiophile computer speakers system under $300. To be specific, it comes with the price tag of $249. It is a powerful two-piece speaker that lets you experience the best quality audio. This speaker system may not be visually attractive but is worth the investment if you want a great quality audio! 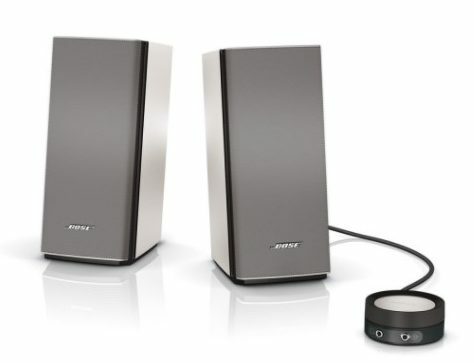 Get Bose Companion 20 Multimedia Speaker System. 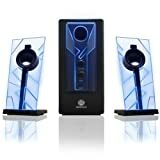 If there is a need for a compact computer speaker along with the requirement of good quality audio experience on a budget, there is nothing other than this to look out for. Logitech Z625 is priced at $149.77. The subwoofer has a max 400 Watts of power. You can connect it to three entertainment devices simultaneously. Also, comes baked in with RCA inputs for TV connections, Computers, PlayStation, and so on. 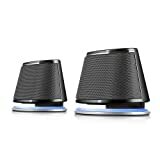 Grab Logitech Z625 Powerful Thx Sound 2.1 Speaker System. Bone crushing bass: for realistic music reproduction, more power is always desirable - especially in the lower frequencies! Add this speaker to your large home office or HDTV, and enjoy sound that moves you. Two independent amplifier circuits power the two massive 5.25 inch subwoofers, for maximum efficiency and output. Robust amplifier uses large transformers, heatsinks and capacitors to handle loud dynamic audio without distortion. Desktop control box: adjust volume, bass, treble; switch between audio source 1 and 2; connect headphones and microphones; charge smartphones, tablets, MP3 players or Bluetooth devices. Package includes: two satellite speakers, one subwoofer, power adapter, 3.5mm extension cable, 3.5mm to RCA cable, subwoofer cable (dual), left satellite cable (white), right satellite cable (red), control box, user manual. 1 year limited warranty. 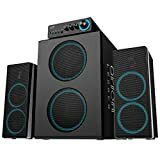 Specifications: Total Peak Power: 166 watts; Total RMS Power: 73 watts; Satellite RMS Power: 10.5 watts x 2; Subwoofer RMS Power: 26 watts x 2; Satellite Drivers: dual 3 inch woofers and 1 inch tweeter; Subwoofer Drivers: dual 5.25 inch subwoofers; Satellite Dimensions: 4.18 x 10.56 x 5.99 inches; Subwoofer Dimensions: 9.77 x 13.43 x 11.26 inches; Control Box Dimensions: 6.50 x 1.97 x 6.11 inches; USB Power Output: 5V / 1A. Arion Legacy is one of the most loved audiophile computer speakers available under $200. For the given price tag, it offers an enormous speaker with 2.1 channel support. 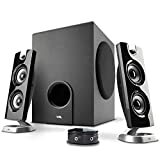 Here, for just $124.99, you get dual subwoofers that are going to produce an amazing quality sound experience for a very budget price. On the other hand, the speakers look very cool as well! If you are someone who is rooting for the best bass audio experience at a budget price, look no further! Get Arion Legacy Deep Sonar 750 Bone Crushing Bass Gigantic Size 2.1 PC Speakers with Dual Subwoofers. No special software, sound card upgrade, adaptors or complicated wiring required.Do not unplug any cables during this setup procedure. Another quality computer speaker by Bose. The Bose speaker mentioned previously is under $300, but this is quite an upgrade from the mentioned speaker for a lower budget. Bose Companion 5 is priced at $399, which may be a bit towards the north of your budget. However, the Bose Companion 5 delivers an amazing audio experience. If you want to make your desktop setup look cool, Bose Companion 5 should be one of the best companions available! 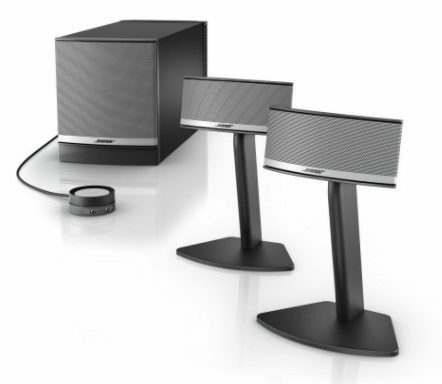 Get Bose Companion 5 Multimedia Speaker System now. 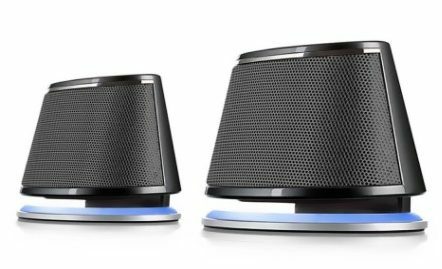 Logitech X-530 is a bit expensive solution when compared to the z625 speaker system. Unquestionably, the X-530 offers a lot more for $229. As the description says it all, it supports 5.1 channel with which you can connect to a lot of stuff and eventually experience a superb audio experience. Here, we get 70 Watt of total RMS value. The design language utilized here is unique and looks interesting. The design itself is somewhat responsible for a great audio experience. Get Logitech X-530 5.1 Speaker System. Which is the Best Audiophile Computer Speaker? While you take a look at the best Audiophile computer speakers under $100-$500. It depends on your preference to what you give importance to and what you choose. You can take the audio experience, budget, design, and brand into consideration while picking out the best audiophile PC speakers for you! Did we miss any of your favorite audiophile computer speakers? Let us know in the comments section below.